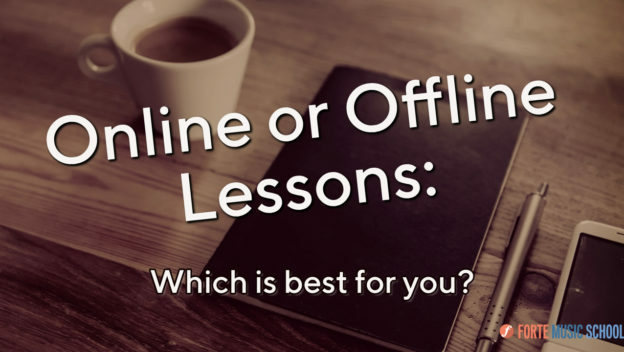 Online & Offline lessons: Which is best for you? Which type of learning suits you the most, online or offline? With free checklist. Online and Offline lessons - which is best for you? Online is great, offline is great, but neither is perfect. What questions should you ask your teacher, and ask yourself? If you’ve thought about this, you’ve probably had a quick Google. So you'll know there’s virtually no advice on this topic. I know I offer online and offline courses, but this isn't spammy, I promise you. What's the stuff I’d want to know? For many people, the best method is to stay at home and learn at their own pace with an online course. I want to use this to outline the pros and cons of each teaching method. But, actually, a lot of the work that needs to be done is self reflection. Get your free guide, add your email in the video. To make your learning work, you need to take responsibility. You need to deep-dive into some self-reflecting questions. Identifying the reasons behind why you do what you do will make it a whole lot easier to know which teaching method will work the best for you. What realisations have you had after reading and watching this blog post? Sometimes it can be the smallest actions that have the largest impact on our lives. Small wins are where it all begins!